These are officially released promo videos for Bruce's songs, officially released concert films, and films to which Bruce has contributed otherwise unavailable music to the soundtrack and officially released DVD's. Date: released 1982, recorded 30 November and 1 December 1981. Notes: Recorded for a German tv series of the same name; does not appear to be a bootleg, probably because of different European copyright laws- but Bruce and his management distance themselves from this release. Only released on LaserDisc so far. A two-DVD set featuring the star-studded concert held last May that celebrated Fishkill folk singer Pete Seeger's 90th birthday has been released. "The Clearwater Concert" was held May 3 at Madison Square Garden and included performances by Joan Baez, Bruce Springsteen, Dave Matthews and many others. Arlo Guthrie, Richie Havens, Kris Kristofferson, John Mellencamp, Emmylou Harris, Ani DiFranco, Bruce Cockburn, Toshi Reagon, Ladysmith Black Mambazo, Tom Paxton, Billy Bragg, Taj Mahal, Michael Franti, Kate & Anna McGarrigle, Bela Fleck, Tommy Sands, Tony Trischka, Dar Williams, Steve Earle, Bernice Johnson Reagon, Ben Harper and Tom Morello also performed. 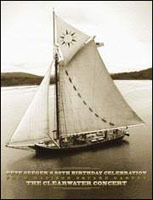 The DVD costs $35 and all proceeds from sales will benefit Clearwater, which has taken an active role over decades in cleaning up the Hudson River and its watershed. Accompany musician Bruce Cockburn as he returns to the spectacular Himalayan nation after twenty years away. He finds a land where much has changed, with a Maoist government recently elected, women newly empowered and fresh initiatives to deal with the grinding poverty of the majority of the Nepali people. But it�s also a land where, in some of the remotest areas, life is lived in much the same way it has been for centuries -- salt caravans, subsistence farming on steep mountain terraces and off-the-grid villages connected by an ancient network of footpaths. 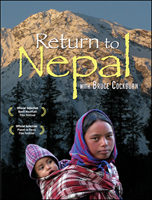 Return to Nepal is a revealing glimpse at a corner of the world we know little about, but whose people have much to offer us: spiritual wisdom, tactics for survival in a tough land and shining examples of interdependence and determination. 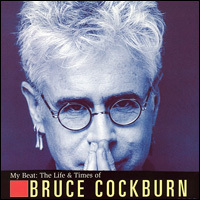 This DVD contains more than 15 minutes of acoustic performances of Bruce Cockburn. My Beat: The Life & Times of Bruce Cockburn is an intimate one-hour documentary that explores the life, music, passion and inspiration of a Canadian music icon. Notes: Documentary following Bruce through Mali, Africa examining the effects of desertification. In addition to instrumental passages and Bruce playing with local musicians, there is a re-worked version of World Of Wonders. Notes: Watch This! is Rounder Records' first-ever music video compilation. Featuring eight concept videos from such popular Zoe and Rounder artists as the Cowboy Junkies, Sarah Harmer, Bruce Cockburn, Kathleen Edwards, Great Big Sea, The Cash Brothers, Grant-Lee Phillips, and Blue Rodeo, Watch This! is a low-cost introduction to the music of some of the most talented artists in the Rounder family. Notes: 16mm; "A documentary about a mad ritual which takes place every April in Thornbury, Ontario: over 400 crafts of various shapes and descriptions race along a seven mile section of white water, down the Beaver River." May contain otherwise unreleased music. Notes: 16mm; "A stylized study on the life of a stray cat in pastel animation." May contain otherwise unreleased music. Notes: In addition to the title song and Victim of the Rainbow, there is a short instrumental. Notes: A dramatized historical film. In addition to re-done versions of Let Us Go Laughing and Dialogue With The Devil, there are approximately 15 minutes of other untitled music composed and played by Bruce in the film. A cassette of this music circulated among collectors had made up song titles added. Notes: This children's video features an acoustic soundtrack by Bruce. He also makes a cameo appearance in the video as a street busker. The film has been shown on the PBS series Wonderworks. 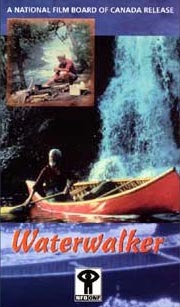 Notes: Waterwalker was the last film Bill Mason made before his death, a portrait of the Lake Superior waters he most loved. It shows his journeys along Superior�s north shore and the rivers that flow into it. 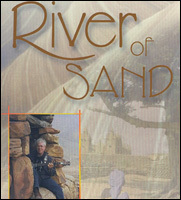 Bill Mason was perhaps Canada�s most accomplished documentary filmmaker, an artist, lover of wild places and wild rivers. In addition to the title song, Bruce and Hugh Marsh composed and play approximately 30 minutes of additional instrumental music. New: This has been made into a DVD, available for sale here. Notes: Bruce plays charango on soundtrack; music composed and arranged by Jonathan Goldsmith; released on cd by Astral/Alliance International (no catalog number); there are at least two films with this title. Notes: 2001 Documentary on Central American activist; music composed by Cockburn and Janice Powers, includes excerpts from Cader Idris and Seeds On The Wind, plus various instrumental music throughout ranging from acoustic guitar to metallic percussion.